This week, the inevitable happened: Tom Felton was sorted into Gryffindor on Pottermore (you can find an article here that details what happened). For those who are not in the know, Tom Felton played Draco Malfoy in the Harry Potter movies, who was through-and-through a Slytherin. And for those of you who, for some reason, have absolutely no clue what I’m talking about, click here to get edu-ma-cated. First of all, in response to Tom Felton’s Pottermore result, I find it absolutely hilarious. I wish all the cast members from the Harry Potter films would take the Pottermore test to see if they wind up in odd houses. I mean, can you imagine Cedric Diggory in a different house other than Hufflepuff? He might have actually lived! Haha! *WARNING: This is a satirical piece. Everything I’m saying is just to make you lovelies laugh, and not to offend. Yeah, yeah, we get it. You are the bravest and the bestest. Whoop-dee-do! Basically, if you were the popular kid in school, you’re more than likely a Gryffindor. You know the type: they had their own table at lunch that no one else could sit at, they were the most gorgeous people in your class, and everybody loved them despite the fact that they were totally rude to everyone. I mean, look at all the merchandise available that is emblazoned with the gold and maroon of Gryffindor. Now look at all those people who purchase that Gryffindor merchandise. Gryffindor is the House that literally everyone wishes they were in. They’re like the Plastics. Now, who here has ever been personally victimized by Hermione Granger? How Do You Know If You’re a Gryffindor? You were probably the one who made the popular people popular. You fawned over them, tried to emulate them, and had a crush on one of them. But, in the end, you were still just a Hufflepuff in a sea of Gryffindors. Hufflepuffs tend to follow in the footsteps of Helga, Hufflepuff’s founder, for the fact that they’re usually picked last in any game (Fun Fact: This was a practice that all the other founders participated in when they would pick their Quiddich teams). How Do You Know If You’re a Hufflepuff? More than likely, everything came easy to you in school: tests, papers, MATH. But I’m not bitter. You were the one that would give me that condescending stare whenever I answered a question wrong. I’M SORRY IF I DON’T KNOW THE EXACT DATES OF THE WIZARD WARS, YOU BLAST-ENDED SKANK. Pretty much, you made everyone look bad with your sharp intellect, and you probably graduated top of the class. Teachers praised you while you received the stank-eye from all of your classmates. You were condescending, and rude, and you should forever wander the Forbidden Forest to give us normal people a chance at life. That would be very much appreciated. Do you still believe that I’m not bitter? 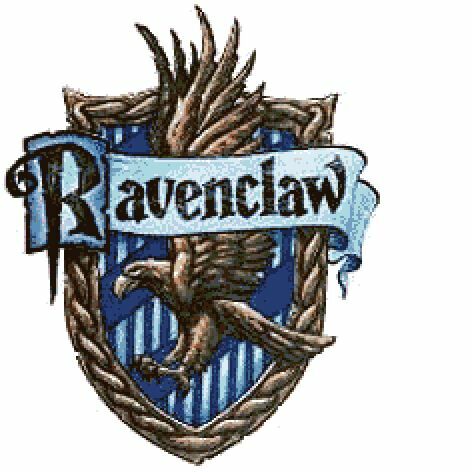 How Do You Know If You’re a Ravenclaw? Captain of the Wizard Chess team–obvi. Honestly, you were probably misunderstood, and treated like you were a criminal, but 9 times out of 10, you probably were a criminal. You were the Bad Boy/Girl in school who was always so mysterious, except when you wanted to close a weed deal, then everybody knew. Sometimes I wanted to be friends with you, but then I would realize that if we hung out together, there was a big chance that we would wind up in jail thanks to you. Slytherins are cunning for the fact that they have come up the cleverest ways to get out of class. Who do you think started the “I have to go to the bathroom” excuse? That has Slytherin written all over it. So it was probably your fault that we all had to hold it in because the teacher never trusted any one of us. Thanks, you big jerk. How Do You Know If You’re a Slytherin? Wasn’t that helpful? I know that I am very confident in which House I should be place in now. 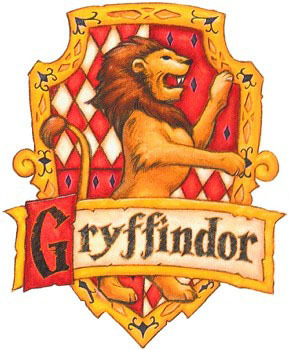 All funny business aside, though, we’re all of the positive qualities that the Houses represent: we’re brave, cunning, caring, and smart, no matter what some stupid quiz says. Even your description of Hufflepuff is me. Forever a ‘Puff. Omg could not love this post anymore! First of all, I am obsessed with Harry Potter and always will be. But the whole time I was reading this I was like god Mickey is really funny and amazing at writing I need to learn a few things! I really don’t know which house I would be sorted into, but I’ve always wondered. I mean everyone wants to be in Gryffindor right? Well I’m gonna go take that quiz and find out. Fingers crossed! Thanks! That’s really nixe, and I’m glad you enjoyed it! Good luck!